Profits at Airtricity, the energy provider owned by UK giant SSE, tumbled 47pc to £12m (€13.7m) in the six months to the end of September. The group blamed the sharp decline on a change during the period of an element of the 'Renewable Energy Feed in Tariff' payments. But SSE said that Airtricity's operating profit is expected to recover in the second half of the financial year. Airtricity is the second-largest provider of energy and related services across the island of Ireland. It posted revenue of £439.5m (€504m) in the latest period. SSE said yesterday that it plans to create a new company that will include its renewable energy assets in the UK and Ireland in order to improve transparency and help it raise investment. The move comes as SSE reported a 41pc slump in adjusted pre-tax profit, as losses widened at its energy supply business. The new company, to be known as SSE Renewables, will comprise around four gigawatts of SSE's renewable assets such as hydropower, onshore wind and several stakes in offshore wind projects. SSE said creation of the new entity will provide greater visibility of assets and future earnings for investors and improve its ability to raise finance for projects. It said it's looking at potential opportunities for onshore and offshore wind investments outside the UK and Ireland. 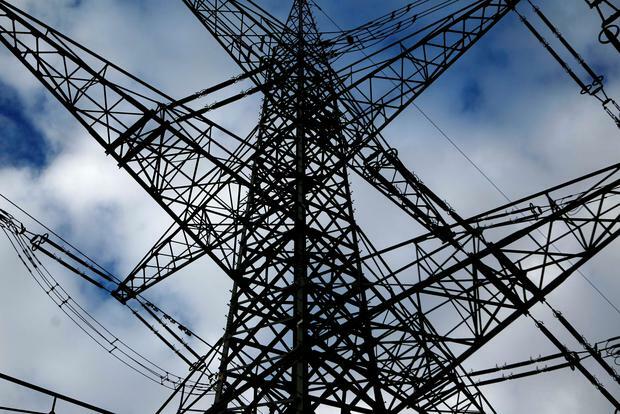 Adjusted pre-tax profit at the company, which includes energy supply and networks as well as generation, fell almost 41pc to £246.4m (€282.5m) in the first half of its financial year. The company warned in September that profit would be hit as calm weather cut renewable output and a summer heatwave curbed demand. SSE's UK household energy supply division reported a widening loss of £68.7m (€78.7m) compared to a £17.8m loss a year earlier. SSE plans to merge the struggling unit with rival Innogy's UK retail business, Npower. The two companies said earlier this month the tie-up would be delayed beyond the first quarter of 2019 due to market developments such as the looming implementation of a price cap. "There is now some uncertainty as to whether this transaction can be completed as originally contemplated," SSE said. "The board believes that the best future for SSE Energy Services... will continue to lie outside the SSE group," it added. From January 1, British energy regulator Ofgem will cap average annual household electricity and gas bills at £1,137, a level well below the most-used tariffs set by the country's big six suppliers. Ofgem says the move should save British households around £1bn a year. Margins at SSE's supply business are expected to be between 2pc and 3pc for the year ending March 2019, less than half the 6.8pc achieved the previous year.